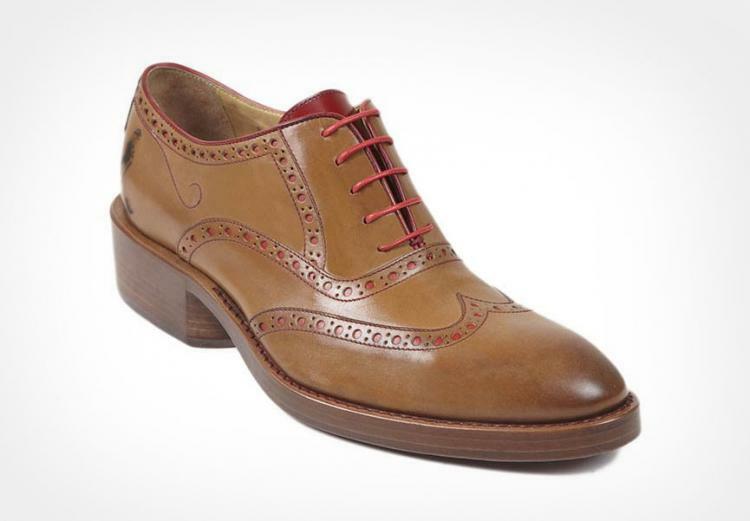 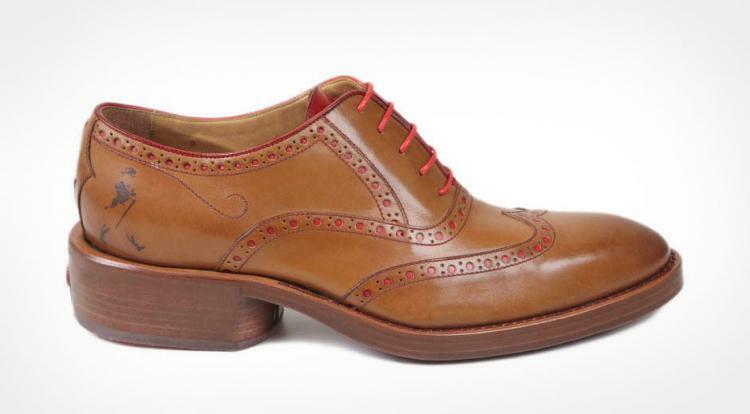 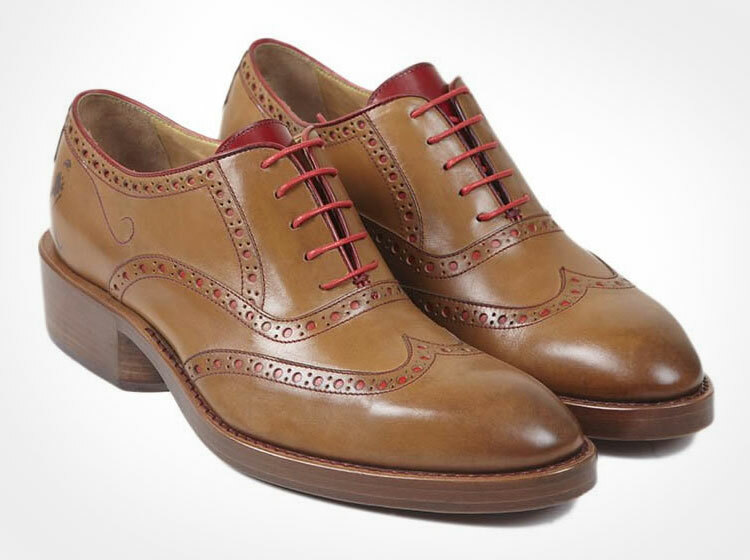 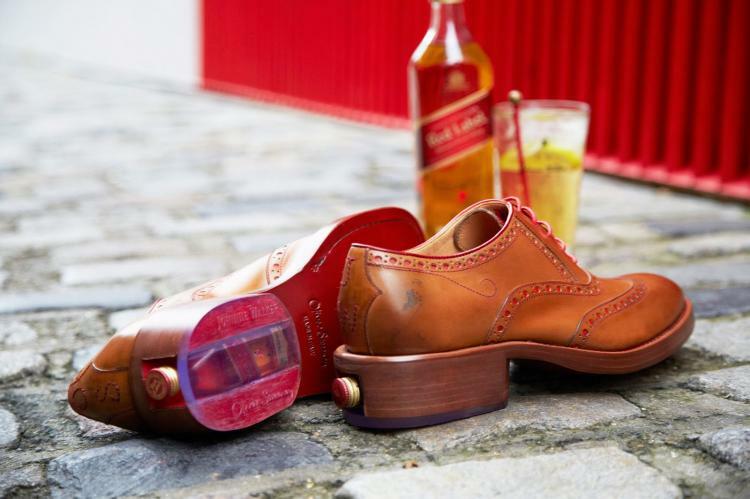 The Johnnie Walker Oliver Sweeney leather brogue is a pair of leather shoes that contain a small cavity in the heel of the shoe to hold a secret bottle of booze that perfectly fits a Johnnie Walker red label miniature bottle, but will most likely fit most travel sized liquor bottles. 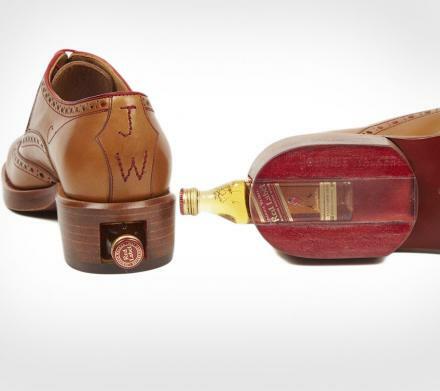 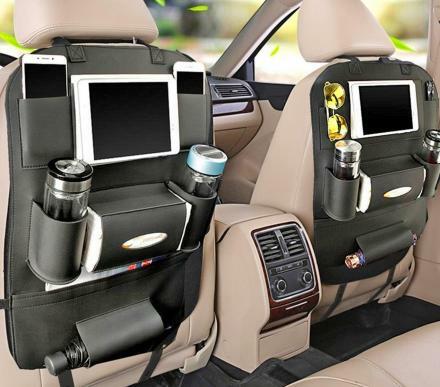 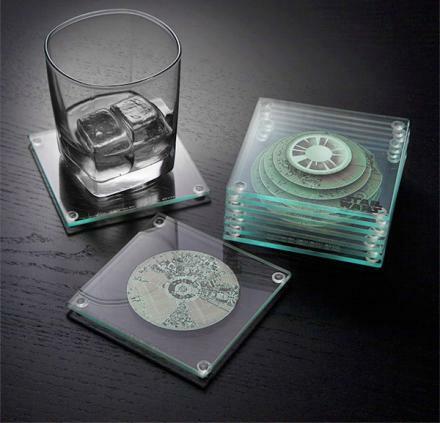 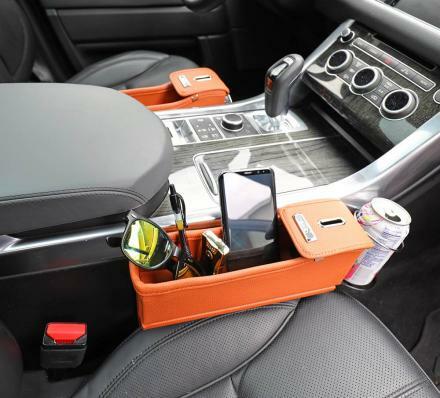 Perfect for the classy gentleman that wants to keep his pockets and man purse clear of any booze bottles, a refined man who doesn't know you can take booze on a plane as long as you put it in a zip-lock bag first, or a sophisticated man who just can't go 5 steps from his home without a few shots of booze for the road, the Johnnie Walker brogue leather shoes are a classy mix of design, style, and functionality. 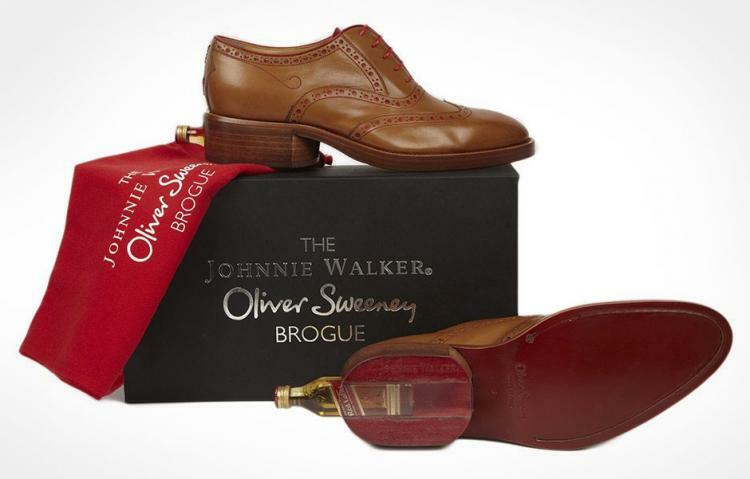 The Johnnie Walker Oliver Sweeney leather brogue shoes are made in Italy from calf leather, have a blake stitched construction, have leather soles, come with a Johnnie Walker miniature bottle in each shoe, and come in a plethora of different sizes to choose from. 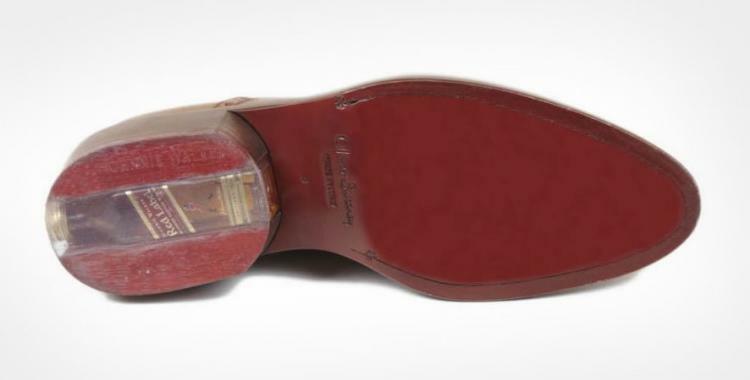 Check out the shoes in action via the video below.